If you have suffered a loss through negligent Conveyancing or other property services it can be particularly stressful as many such cases involve your dwelling, which is often your most valuable asset. It can also be precious in many other ways, not least because it is your home, providing accommodation and security for your family. When things go wrong it can be very traumatic and stressful and it can seem very difficult and daunting to obtain legal redress for your loss. 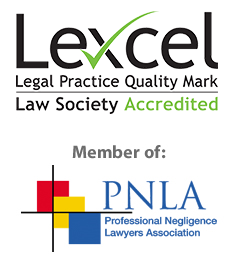 We specialist in professional negligence claims against solicitors. We can advise you today whether you may be able to make a claim for compensation. There are many other types of cases where negligent conveyancing or property services can cause a loss where it does not necessarily involve your dwelling but the financial and emotional consequences can still be severe and the prospect of recovering your losses or resolving your legal problems can seem very difficult to achieve. Solicitors are involved in many thousands of transactions each year and unfortunately there are some cases where there are errors and the Client sustains a loss. If you believe that your conveyancing solicitor has been negligent, please contact us urgently. Call us on 0800 043 9981 or dial 0333 577 0172 if calling from a mobile or complete a Free Online Enquiry. We deal with numerous professional negligence claims against conveyancers so will be able to advise you promptly on your rights and options. “I can definitely recommend Matthew Wilkinson, Solicitor, who did work on my behalf a couple of years ago. It was a fairly complex and extremely concerning matter, with respect to the negligence of another solicitor relating to a conveyancing process and it was handled to a satisfactory conclusion. Throughout the process Mr. Wilkinson was informative and provided confidence that matters were being dealt with accordingly. It is very important that you choose a Solicitor with sufficient knowhow and experience in dealing with similar professional negligence cases against Solicitors. It is important to use an experienced team when it comes to making any sort of claim against a Solicitor or other legal professional because these cases are often complex and difficult and the Solicitors and Lawyers’ Insurers will use many legal arguments to challenge your claim. This is particularly important when the subject matter of the claim is Conveyancing or Property services. When Conveyancing or Property services go wrong it often can involve difficult areas of law and practice. This gives the Solicitors’ Insurers even more opportunity to argue that not only was there no negligence, but even if there was, he was not under a duty to achieve the outcome which you say was lost by the Solicitor, or that you would have proceeded with the transaction anyway or no substantial loss has been caused. Our team specialises in professional negligence claims against conveyancers, Solicitors and other Lawyers, which means that whatever type of claim you need to make we can help. All of our current professional negligence cases are against Solicitors and other lawyers. We have specific experience of this type of claim having successfully pursued very many claims against conveyancers and Solicitors in respect of negligent Conveyancing and Property Services. We can also draw on our extensive experience of dealing with no win no fee professional negligence claims. Call us on 0800 043 9981 or from a mobile dial 0333 577 0172 or complete our Free Online Enquiry and we’ll be happy to have a no obligation chat with you and explain your legal rights and options.